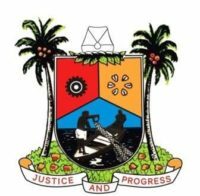 The Lagos State Government on Tuesday set up a five-man Panel to investigate the immediate and remote causes of the three-storey building collapse that led to injury and death of some inhabitants at Ita Faji area of Lagos Island recently. 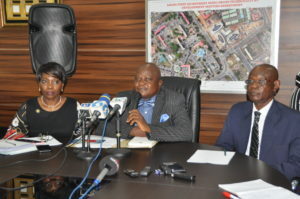 Inaugurating the panel comprising professionals from the private and built sectors, Commissioner for Physical Planning and Urban Development, Prince Rotimi Ogunleye, disclosed that the terms of reference of the panel include proffering remedial measures to stem further building collapse in the future, determining the level of negligence on the part of the developer or owner and the role of the State Government. 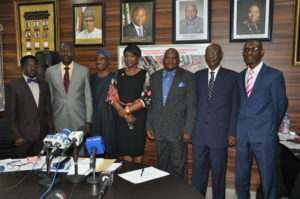 Ogunleye said the panel is expected to recommend measures that will guarantee quality service to forestall incidents of building collapse in the State, assuring that the recommendations will be appraised for implementation by the State government to stem the tide of such occurrences in future. In his remarks, the Chairman of the panel, a retired Permanent Secretary in Lagos State, Engr. Wasiu Olokunola gave assurance that the panel would do a thorough job as the members have the requisite experience in the built industry. Other members of the panel, which has two weeks to submit its report to the State government, include Architect Fitzgerald Umar, Barrister Bayo Owojori, Tpl. Ayo Adediran and Mr. Kunle Awobodu.